This little dialogue inspires me to think of the relationship between the actor and his fans! We, as fans, are constantly talking about Damian. We post about him, tweet about him, and some of us even blog about him 🙂 We are pretty much set on what we think about Damian… but what does Damian think about fame and his fans? If you are a celebrity, dealing with your fans is part of the job. After all, it is their love and support that make you popular. And, as you become more famous, it feeds into your fan crowd that you have an even bigger following… It is impossible to ignore the crowds and you probably should not anyway. Having said that, I can imagine it can get a bit overwhelming at times. So, how do you deal with it? 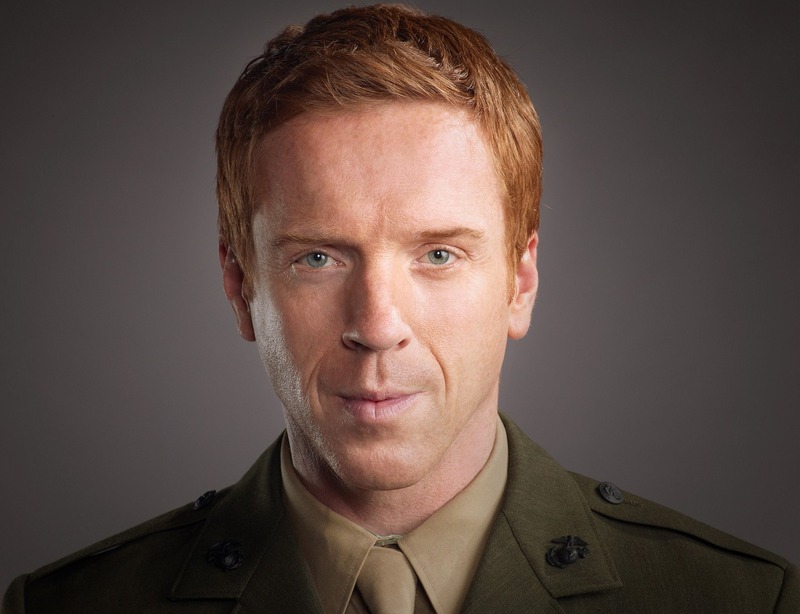 But Homeland has inarguably boosted Damian’s star status to a whole new level! “Bloody hell, walking down the road with Damian Lewis is exhausting. It takes two and a bit minutes to get from the studio where Lewis had his picture taken for The Times to the restaurant where I’ll interview him, but in those two and a bit minutes, Lewis is acknowledged by pretty much every person we pass. He is gawped at, pointed at, whispered about, shouted at, physically accosted. “Damian! Damian! Can I get a selfie?” goes one passer-by, his iPhone out and open at the camera app. “Not right now, mate,” says Lewis, jocular and cheery, so everyone will think he’s a nice bloke anyway. “Damian! Damian! Can I have an autograph?” says a keen twenty-something girl in an anorak (hood up). “Old school,” says Lewis, and scribbles his name in her notebook with the pen she supplies. More people gawp. More people shout his name. My Google Maps function is failing to locate our restaurant. 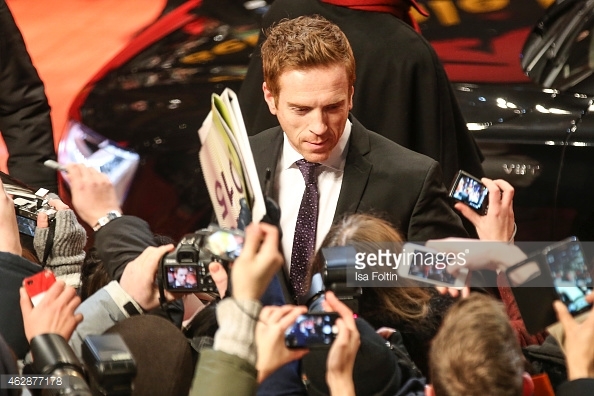 Lewis is becoming anxious, taut; steeling himself against more requests for selfies. “Do you want to get off the main drag?” I ask him. “Yeah … maybe …” he says, trying to seem laid back, failing. Oh, I know… It’s not personal. But… then I just put myself in that Spanish tourist’s shoes… And I feel pretty awful. I have Mediterranean roots so I know how “persistent” WE can get 🙂 Sorry! So… where do you draw the line? First obvious red line is FAMILY. It turns out Damian has a “blanket ban” about photos when he is out with his family. Damian tells Kirsty Young on BBC Radio 4’s Desert Island Discs last November that he does not want his kids to have a “warped view” of him. The second red line is WORK. When Damian is at lunch with Mark Rylance for an interview with the WSJ Magazine, he sees a phone “being trained at him from a neighboring table. “Sorry, it’s a little off-putting, OK?” he says to the amateur photographer. We all know Damian is always gracious with the fans and grateful for their support. The living proof is in all those photos fans shared after American Buffalo and The Goat performances in London, night after night, with Damian giving autographs and having selfies taken with them after 2 hours of intense performance on stage! But after all, like all of us, he is a human being — and sometimes you are with your family, or with your friends, or you are working, or you are late, or you are really not in the mood for a photo, and you kindly say no. Damian talks to Nick Grimshaw, the host of BBC Radio 1 Breakfast Show: “The chances of me stopping for a quickie in the street depends on my mood.” Fair enough. I am, of course, in a completely different line of business… academia is as far as it gets from show business… but I sometimes find parallels in these two very different worlds… Fans see you on TV, at the movie theater or on stage, but they cannot get enough of you and demand more of your time… They want autographs, and nowadays… selfies! Students, too, sit in your lectures, but they cannot get enough that they demand more of your time… And you hold office hours, or meet them by appointment, and sometimes have lunch with them, too. But you would say no if they demanded your time while you were having dinner with your friends in a restaurant or talking shop with your colleagues in the campus coffee shop. The red line seems to be similar across the board. Family and work are off limits. “He (Duke) said ‘Catherine and I are huge Homeland fans’. Everybody makes time FOR Brody! And, of course, Jennifer Lawrence is the ULTIMATE Brody fangirl! I am sure 99.9% of you have seen this before, but I still want to share it here to have a complete account of Damian’s VIP fans. And it is our wonderful blog trivia that this hilarious JLaw video made JaniaJania to pursue Homeland! I would have believed you, Damian, should I have not been there. But I saw all those fans cooing over you at the book signing! You were definitely as much the center of attention as your beautiful and talented wife. And I had my heart in my mouth that I would have a “JLaw moment” when I met you for the first time: I am proud of myself that I miraculously kept my composure and all kickin’ and screamin’ happened a bit later! That Times Talks bit inspired me to write this two years ago. 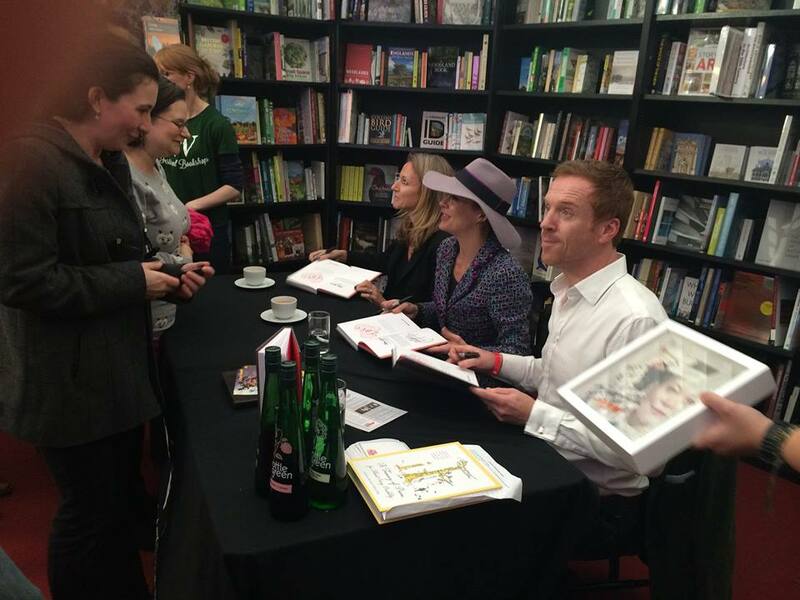 Writing this inspired me to write about our own stories of becoming Damian Lewis fans. 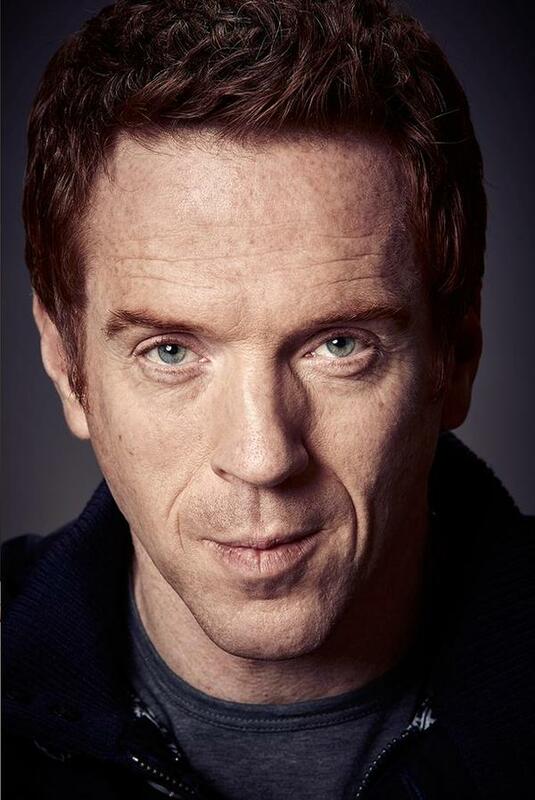 Then a little chat with Lady Trader on the subway turned it into an even better idea: How about collecting fan stories from Damian Lewis fans from all over the world? As we called all fans to share their stories with us, we did not know what to expect since it is typically not to get people voluntarily sit down and do homework. But guess what? We got an amazing response to our call and published each and every story, 55 stories from 21 countries, over the course of a year. 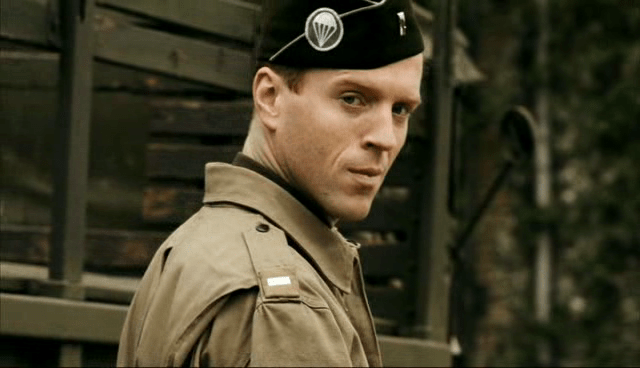 And we found out while some “discovered” Damian in the usual suspects like Band of Brothers and Homeland, some others “discovered” him in less likely places – a play on Broadway, a news quiz show on TV, an interview in the Daily Mail or thanks to his better half. Regardless, what all stories had in common was that they were all written from the heart and were extremely personal. They demonstrated how Damian’s art inspired us, moved us, and even sometimes helped us cope with what we call life. And I am extremely happy that we were able to turn the stories into a book for Damian and give it to him earlier this year. Seeing him moved was priceless. You can read all about it here.